Her aim is always true! 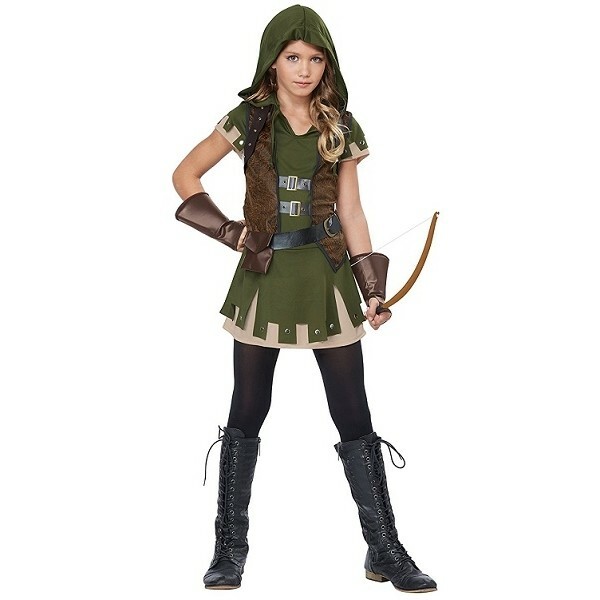 This Robin hood costume from California Costumes will have her ready to rob from the rich and defend the poor. The set comes with a dress with attached hood and vest, a belt with attached pouch, a pair of gauntlet gloves, and an adjustable shoulder harness piece. Please note: leggings, boots and bow are not included. 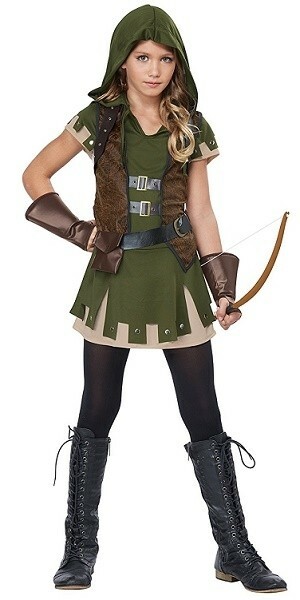 For more fun and empowering dress-up choices for all ages, visit our Costumes / Dress-Up Collection.